A simplistic wrought-iron design with a classic arch and streamlined vertical posts. 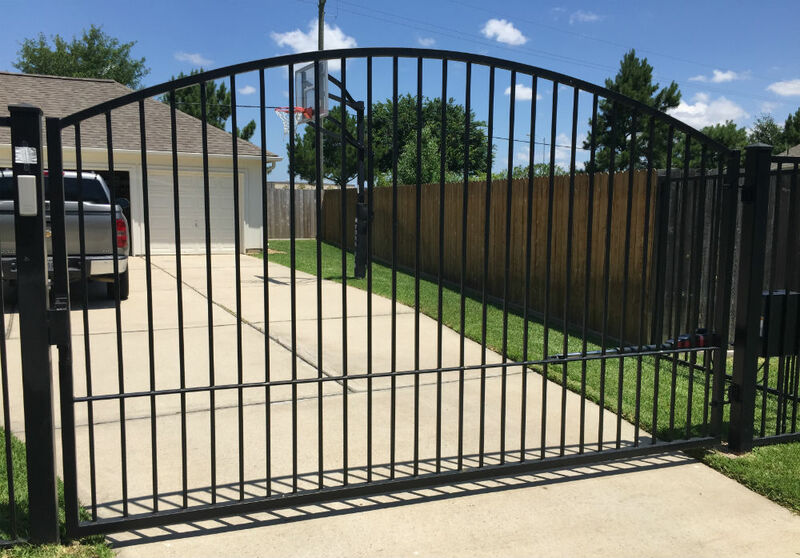 The strong and durable swing gate is perfect for residential driveways. We install gates that look great and are built to last. A LiftMaster swing gate for residential driveways provides added security for your property. Automatic entry gates are available in a wide variety of styles and materials. Sentry Houston Garage Door & Gate is the top choice for residential gate systems in Memorial.